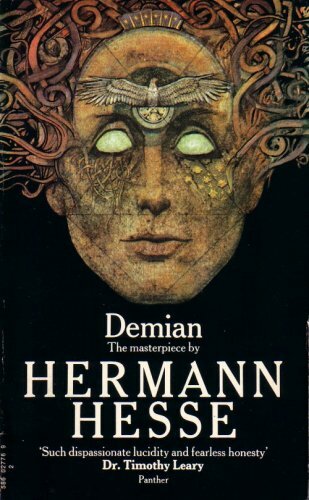 Have you read: Demian, written by Hermann Hesse? 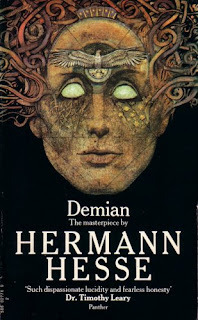 Have you known Hermann Hesse? Hermann Karl Hesse (1877 – 1962) was a German-born Swiss poet, novelist, and painter. His best-known works include Demian, Steppenwolf, Siddhartha, and The Glass Bead Game, each of which explores an individual's search for authenticity, self-knowledge and spirituality. In 1946, he received the Nobel Prize in Literature. A few months ago I watched one music video which was inspired by this book and I really liked it so I decided to read the book. This book had become my favorite book. 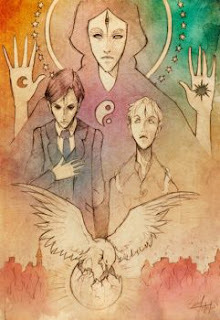 Emil Sinclair is a young boy raised in a middle class home, amidst what is described as a Scheinwelt, a play on words that means "world of light" as well as "world of illusion". Emil's entire existence can be summarized as a struggle between two worlds: the show world of illusion, and the real world, the world of spiritual truth. In the course of the novel, accompanied and prompted by his mysterious classmate 'Max Demian', he detaches from and revolts against the superficial ideals of the world of appearances and eventually awakens into a realization of self.